Altered rabbits won’t contribute to the problem of overpopulation of rabbits. Over 7 million adorable dogs, cats, and rabbits are killed in animal shelters in this country every year. Rabbits that are altered are healthier and live longer than unaltered rabbits. There is a high risk of reproductive cancers in both female and male rabbits, that are virtually eliminated by being fixed. Not only are you improving their health, but they will make a better companion to you and other pets because their hormonal aggression and destructiveness will generally fade after being fixed. 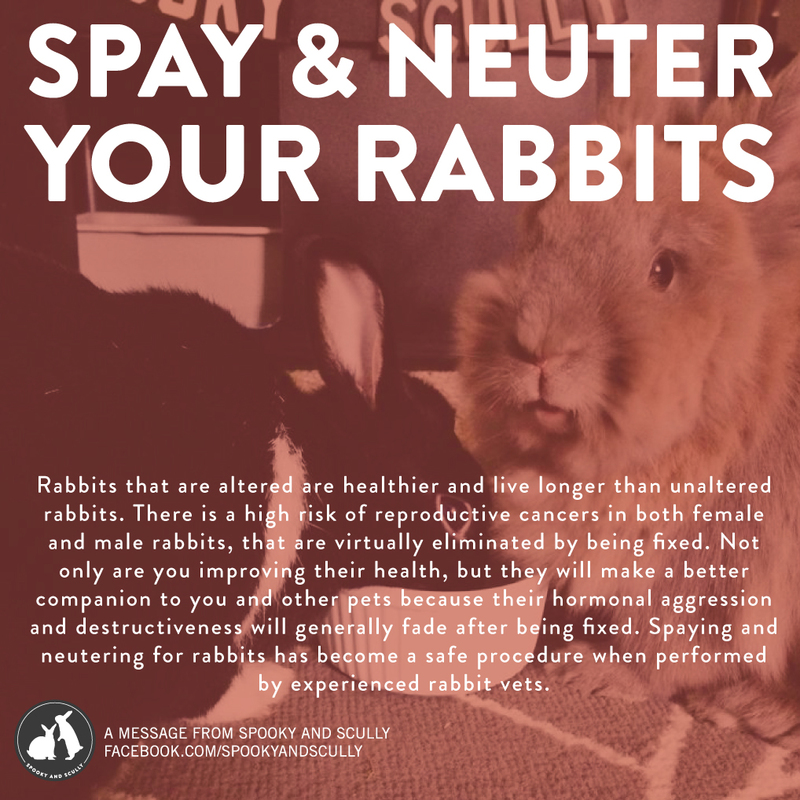 Spaying and neutering for rabbits has become a safe procedure when performed by experienced rabbit vets. Share this along, and together we can try to help improve the lives of rabbits!